As your Downtown Houston ear, nose and throat doctor, Houston ENT & Allergy has the experience and expertise to treat a number of hearing, breathing, and sleep-related conditions. Our doctors specialize in the diagnosis and treatment of ear, nose, and throat issues that affect both adults and children, and can help you properly manage and overcome your symptoms. For people that suffer from allergy problems, have noticed a significant decrease in their hearing ability, or have trouble sleeping due to snoring or sleep apnea, your Downtown Houston ENT team is here to help. We’re located in the Houston Center at 1200 McKinney Street, and are available Monday through Friday to discuss your treatment options. Make an appointment or call for more information today, and we’ll look forward to helping you live a better life. 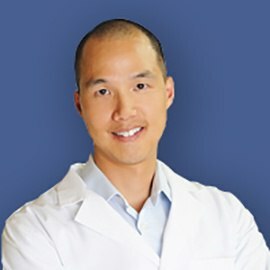 Dr. Wang is board certified in the specialty of Otolaryngology-Head & Neck Surgery. His specific areas of interest are sinonasal disorders, allergy, snoring/sleep apnea, voice disorders/laryngology, otology and pediatric otolaryngology.